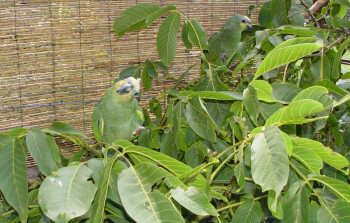 Birds love branches. 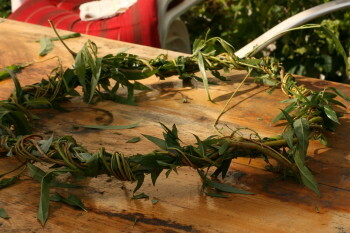 Disinfect them if you are worried about insects or herbicides. 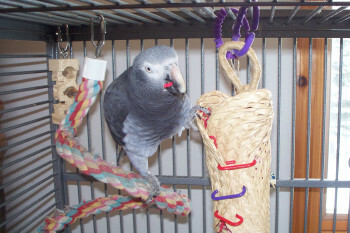 Driftwood from the beach makes attractive perches or toys. 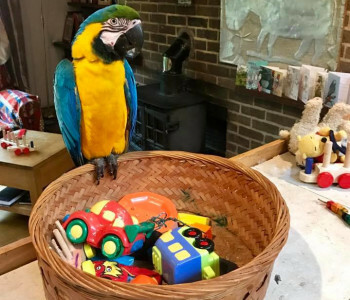 Although not home made - most rattles, wooden and soft toys are manufactured as hygienic for babies so I guess they should not harm parrots. 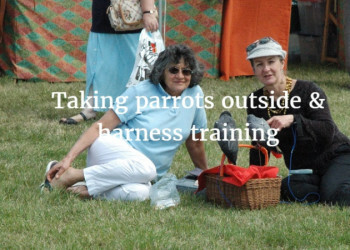 Charity shop toys can save you valuable pennies when your looking for parrot toy ideas. 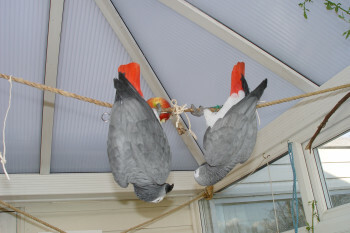 I have taught my birds the ‘Off’ command, so they will leave the bookshelves alone (with some prompting). 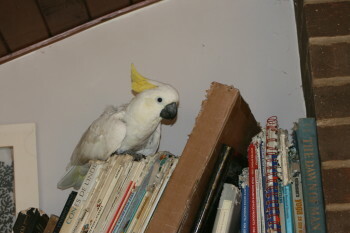 Lily cockatoo’s passion for making confetti out of books was satisfied by allowing her a special place on a high bookshelf with unwanted books (poor things) that she shredded for hours. 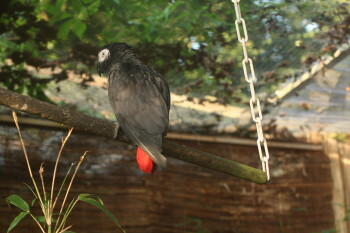 If you don't fancy creating any toys yourself, why not take a look at Northern Parrots? 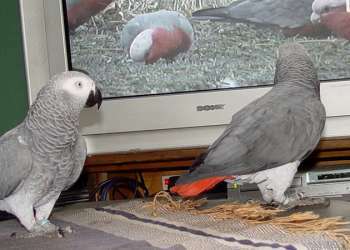 They sell a range of toys that will entertain your bird. 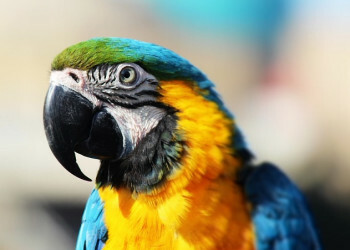 Insure your parrot for £5,000 or £2,500 of vet fees, death and theft | Death and theft cover only also available | 97% of pet insurance claims paid between 2017-2018 | Pay over 10 months by (0% APR) Direct Debit | Read our customer reviews on Feefo.